Each year in Australia, an average of 1,800 children suffer scald burns requiring admission to hospital. Of these, approximately one in five is due to exposure to hot tap water. Older people and people with disabilities are also at increased risk of burns from hot tap water. Victorian data indicates that over 60 Victorians over 65 years of age are hospitalised for hot water scalds annually. 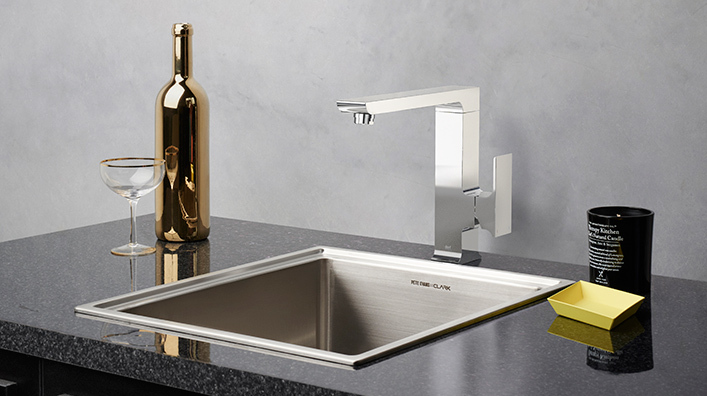 Caroma and Dorf have addressed this risk by adding an innovative feature to specific mixer tap ranges. Selected mixers include a fully adjustable cartridge with an inbuilt safety function that limits the rotation of the handle, restricting very hot water from flowing out of the mixer. This anti-scald feature means that if the handle can only be turned so far, the water temperature can be set at a chosen maximum level and cannot increase further. Setting the maximum temperature is quick and easy. We recommend trade professionals adjust the anti-scald cartridge in small increments until the ideal maximum water temperature is reached. The cartridge has a plus (+) and minus (-) sign printed on the integrated ring. To adjust the temperature, simply move the ring towards the relevant symbol. This will restrict how far the handle can turn and thus set the maximum temperature. An added benefit is that by restricting the temperature, the amount of energy required to heat the water will be decreased, thereby it could reduce energy bills. In addition, Caroma and Dorf’s fully adjustable cartridges come standard with the ability to adjust water flow (Note, this is not suitable for bath mixers). This feature is particularly handy when children wash their hands. By reducing the water flow, wastage is decreased and splashing from the basin is eliminated, reducing the amount and frequency of cleaning required. Refer to the Caroma Plumbers’ Handbook to identify which products have the adjustable cartridge. The Caroma Plumbers’ Handbook App is free to download from the ITunes Store or Google Play, or by visiting the Caroma website from any Smartphone or Tablet.